Although your foyer is not as functional as your kitchen or living room, it is the first impression that people get when they step into your home. As such, it shouldn’t be ignored. There should be some thought given to how you can turn it into a space that draws visitors in, giving them a taste of what the rest of your home is like. Pick out a different color or pattern for the walls and tiles, which sets it apart from the rest of the home. You can choose to go bold in your color choice for a contemporary feel or distinctive, but traditional pattern: the point is to create a contrast between the entrance and the rest of the home. 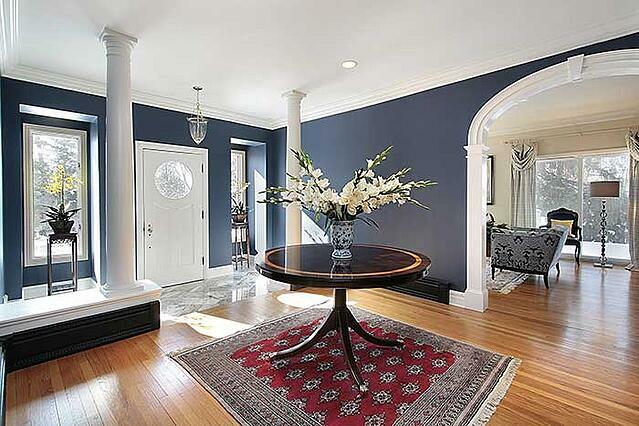 If your home lacks a hallway or vestibule to define the entryway - i.e. 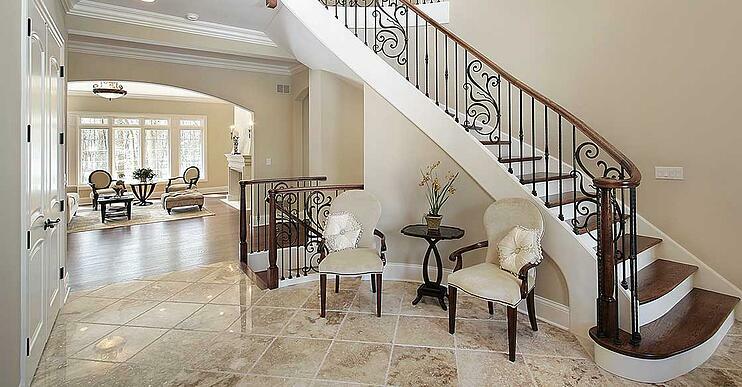 if your home has an open floor plan, you can use archways, area rugs and different tiles to define the area. With the space available to you, you can use large furniture pieces to create a beautiful blend of décor. For starters, you need to think about where you want to place your console table; ideally, you can place it in an area where the light is favorable, to allow it to stand out from the rest of the décor. Following that, you can bring the surface of the table to life by choosing a flower arrangement or candles, lamps, greenery, books and other art pieces. Enhance the usability of the space by choosing complementary seating; you can pick contemporary, modern or ornate pieces of furniture. 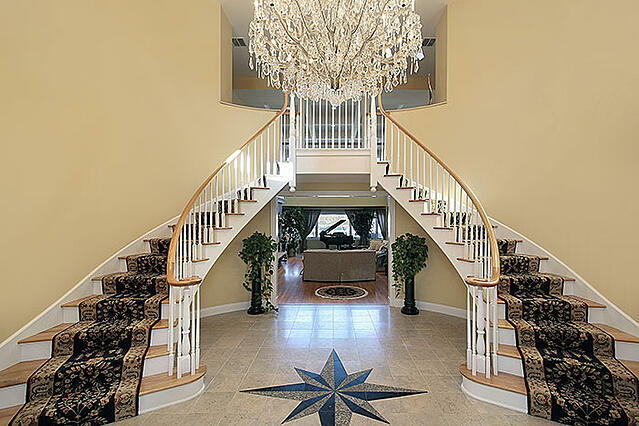 If you have an imperial staircase, you can use symmetry to your advantage by arranging matching pieces of furniture and décor on or under each stairway. There are a number of lighting options you can use, from increasing natural light, pendant lighting, sconces or grand chandeliers, or a combination of these. Lighting your space can add flair and style to your space. Spruce up the hall by adding a selection of wall art and photography; it can also give the space a personal touch, displaying your personal taste and style to your visitors. You can also hang mirrors: these are especially effective in the use of symmetry and can also visually optimize the spaciousness of the room. One of the rising trends in today’s home design is the open concept. Why not make a gorgeous view a part of your foyer by installing frameless glass doors? Guests can step into the beauty of your backyard or of the picturesque location where your home sits, right from the front door. Decorating your foyer isn’t just about creating a beautiful entryway, it’s about setting the tone for the rest of your home. Get inspired by gorgeous inetriors.